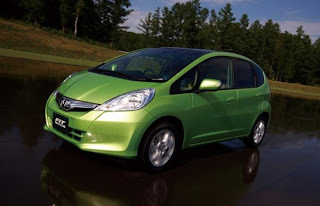 Small but roomy oh well, the Honda Fit is still a need in the shopping list of any subcompact buyer. But despite its undeniable qualities, only 1953 units sold in July, up 55% last year. Facing fierce competition from the likes of the Ford Fiesta and the Hyundai Accent, the Japanese automaker has decided to modify the model for 2012. By the way, the basic version inherits mirrors, color-coordinated and new wheel covers, while the sport will have a new front bumper, a redesigned grille, headlights and wheels sleek new black. Inside, all options will benefit from more sound insulation, engineers have worked to reduce the intrusion of noise to the cabin noise below the waterproof floor, in front of the arches and columns. You will also find new winter tires, new lighting and two original colors (blue and metallic orange), which will replace the two similar shades of the old version. Fit Sport once had a little 'extra attention. Dash, will boast a dark metal parts and chrome accents around the gauges. It comes standard with steering wheel audio. The same 1.5-liter 4-cylinder will be in service in 2012, producing 117 horsepower and 106 lb-ft of torque mated to a 5-speed manual or automatic transmission.